The Books for Walls Project: DiscoveringLibraries: Troy Public Library and Announcing "Save Troy Library Tuesday!" 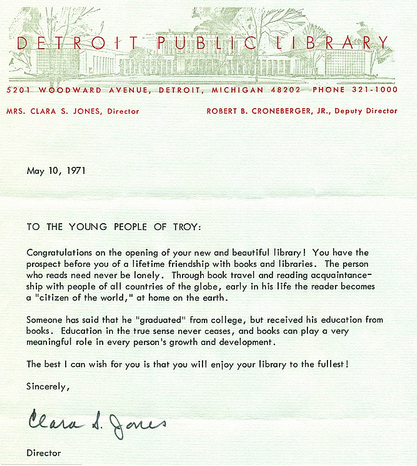 DiscoveringLibraries: Troy Public Library and Announcing "Save Troy Library Tuesday!" --posing Books for Walls Project Style! Mission: Troy Public Library is recognized by the community as a vital force; transforming minds, changing lives, promoting literacy, providing cultural enrichment and embracing the diversity of our evolving city. Collection Size/Collection Available Digitally: There are approximately 258,000 physical items and about 27,000 electronic items -- either ebooks or e audio books. In addition, about 90% of our reference collection is electronic. All of the electronic items and reference collection can be accessed from our website. Congratulations on the opening of your new and beautiful library. You have the prospect before you of a lifetime friendship with books and libraries. The person who read need never be lonely. Through book travel and reading acquaintanceship with people of all counties of the globe, early in his life the reader becomes a "citizen of the world," at home on the earth. Someone said that he "graduated" from college, but he received his education from books. Education in the true sense never ceases, and books can play a very meaningful role in every person's growth and development. The best I can wish for you is that you will enjoy your library to the fullest! "Enjoy your library to the fullest," Clara suggested. To do this Troy Public Library needs to have its doors open and that is what Cathy Russ, Phillip Kwik, Head of Public Services, and host of library champions have lined up to do. 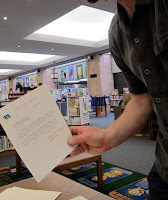 During our visit to Troy Public Library The Sisters met a soul mate, all Four of Us held a precious piece of history in our hands, and we learned that Troy Public Library is a treasure worth fighting for. Phillip Kwik, Head of Public Services, and Cathy Russ, Library Director, took a moment away from the preparations for the evening's City Council Meeting. That City Council Meeting was reason there wasn't fanfare, cake, balloons, a celebration befitting a 40th anniversary. May 16, 2011 was not a day for celebrating, it was crunch time. Balloons, or no balloons, crunch time or not, with an "ahhhhh" The Big Sister inhaled "the smell of the library" we had arrived and there were librarians to interview and library to learn about, so learn we did! Question #1: What is the most interesting item held in your libraries collection? Phillip Kwik explained his favorite part, "The most interesting things in our collection are those electronic resources that you can have access to all day, every day, whenever you need them. This means that you do not even have to come into the Library to be provided with the wonderful world of information that the Library holds. In addition, the Internet is sometimes frightening, with too much information thrown at you. How can you find reliable information on an important issue? How do you know where to turn? The library’s electronic collection gives you a friendly port, a place to go in the sometimes turbulent online world." To that we add that TPL is full of friendly faces of librarians, staff and volunteers, ready and waiting for you to ask for help! Just one of those amazing "electronic resources" Phillip mentioned are the precious Letters to the Children of Troy, the letters have spread like wildfire on the internet. The story has made its way across the Atlantic, The Guardian reported on June 10, 2011 "(a)s funding cuts hit libraries across America, famous supporters of the public library in Troy, Michigan, have helped draw attention to its case – a "particularly graphic example" of budget cuts, according to the American Library Association." And onto the airways, just this morning, Phillip was interviewed on The Takeaway on NPR --take a moment, listen and learn all about the letters! --a day they will never forget! While we realized the preciousness of the letters we couldn't help but imagine that private collectors would love to get their hands on a letter or two. But Phillip set our minds as ease, "the Library will continue to own the Letters to the Children of Troy. While not required, we understand the value of the collection – historically, literarily, and financially – and will not trade, sell or swap them!" Why? Simple, "the letters are not only an important piece of the Library’s history, but they give us a snapshot of what life was like in the 1970s: Who was in office running the country, who was writing, who was on television, and who was starring in movies! I think that they demonstrate, as well as any book, who, why, and what was happening 40 years ago." 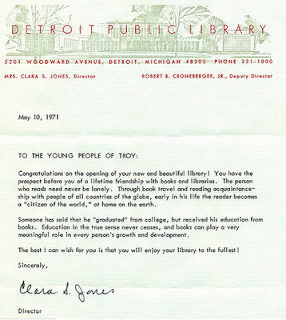 So when YOU visit Troy Public library, which we highly suggest, the letters will be there for you, too. Question #2: Why do you think libraries are an important part of a community? Phillip explained: "Libraries are an important part of a community because in a library everybody is equal. No matter your age, race, gender, economic status, beliefs, employment, etc. you can walk into a library and have all of your questions answered, and all of your pleasure reading or information needs met. We do not discriminate based on who you are, what you look like, or what your need is. In that way, the library is the “great equalizer:” one of the great democratic institutions in our country. If you believe that a community is only as strong as its weakest member, than a library helps to strengthen and empower that weakest member, and in that way, strengthens and improves the entire community. TPL is offering Computer Skills for Job Seekers, this summer." Question #3: How can children support the library? 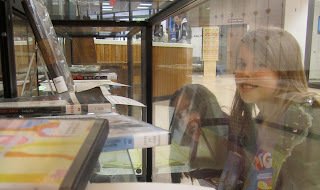 Phillip shared a simple answer, "children can best support the library by using the library. 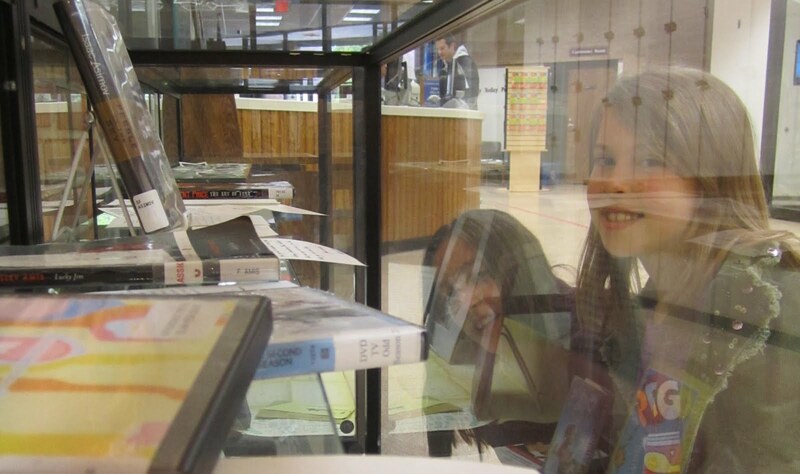 By doing this, children will show their friends, the adults, and the rest of the world that libraries are important. Whether using it to read a novel, attend a program, surf the Internet, or check out a game, puppet, or movie, by coming to the local library, and telling others how important it is to them, children will help make sure that libraries will continue to grow and prosper." told the kids to READ --and I can read 'READ, READ, READ! on her face as she says this! 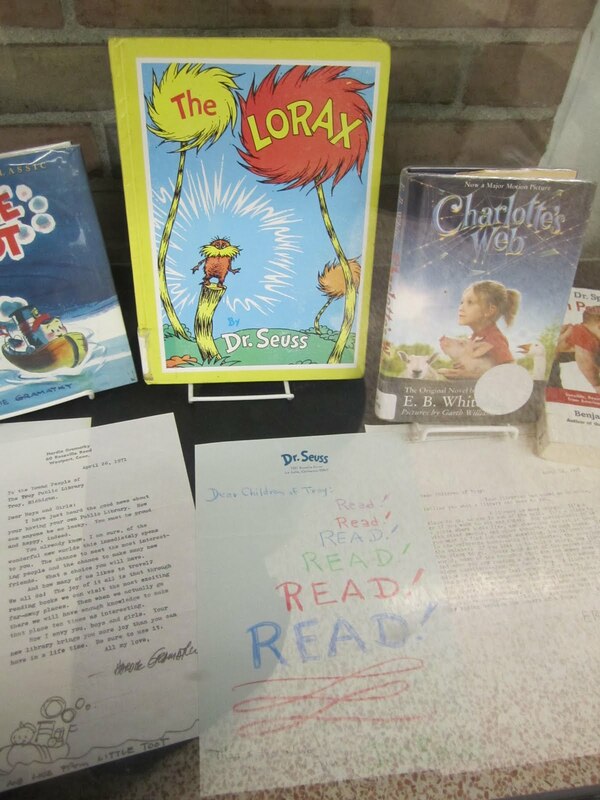 Now the work begins, how can you help save Troy Public Library? Phillip knows what it needed, "we know that we have a lot of support in the community, and now is the time for all those supporters to use the Library, talk about us, and support the Library through the millage on August 2." So start talking and using the library. Don't live in Troy? Well, send a message to someone who does, spread the word: "SAVE TROY LIBRARY!" 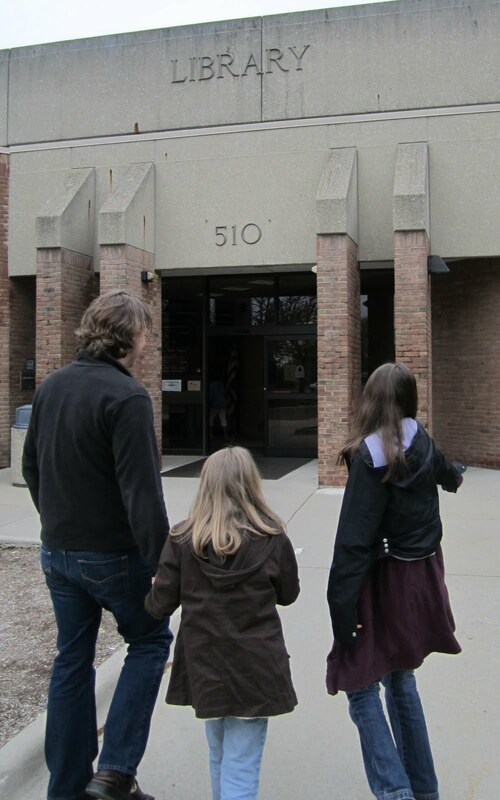 This is not the end of our Troy Public Library story, it is just beginning. The Sisters, The Mom and The Dad voted unanimously to help save TPL and so we will! 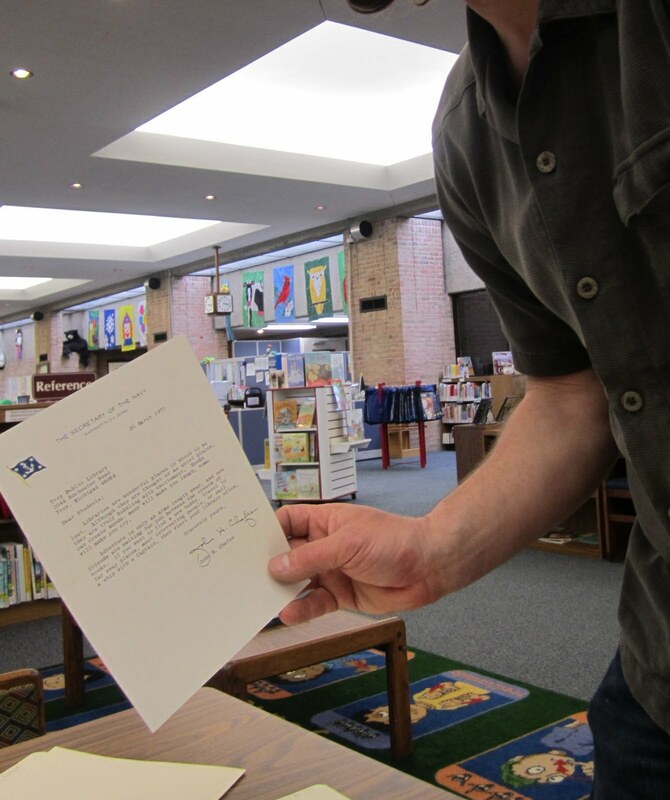 Join us through out the summer for "Save Troy Public Library Tuesdays", when we'll share more of the amazing Letters to the Children of Troy, give you updates on the millage election and support Troy Public Library. Use the form below and we'll send you emails of our posts! 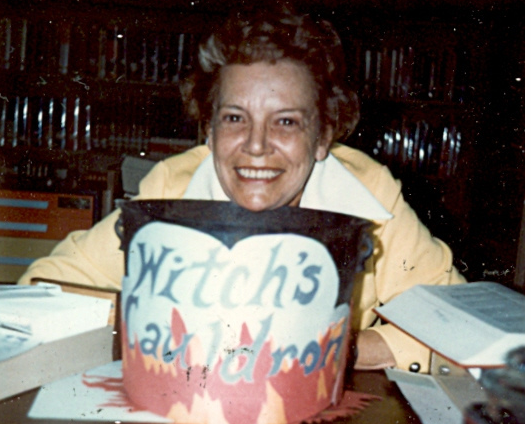 "Discovering: Troy Public Library" is dedicated to Marguerite Hart: this beautiful smiling woman, the brain child of the Letters to the Children of Troy, wouldn't you love her to be your librarian? We are grateful for the library love legacy Marguerite left all the world's children.